The Brits are getting fast broadband, Do Not Track remains voluntary, Chronos turns any watch into a smartwatch, the World of Warcraft movie trailer drops, and Jeff Goldblum makes Christmas creepy. David Cameron: "fast broadband is a necessity, not a luxury"
You sure you're not getting confused with tampons there pal? This is a nice idea, and one we personally hope expands out to other countries. After all, Internet access can change lives for the better DancingMan, And 4 More Times The Internet Was a Positive Force DancingMan, And 4 More Times The Internet Was a Positive Force The Internet can be a mean place, full of trolls and scamsters. But just like real life, for all the bad, there's a lot of good out there. Read More , especially for those living in rural areas. Therefore, those of you in the United States and beyond should use this news as a call to arms, and start fighting (peacefully) for your right to superfast broadband. In the UK there’s just one problem… Prime Minister Cameron has promised the same things on previous occasions. As noted by BBC News, the government made similar pronouncements in 2010 and 2012, and while the percentage of British homes with access to superfast broadband has increased since then, it’s a long way of being 100 percent. Websites such as Google and Facebook will retain the right to track all users. This comes after the Federal Communications Commission (FCC) rejected a petition [PDF link] to make it mandatory for websites to honor Do Not Track requests, and doing so will remain voluntary as it is right now. According to The Washington Post, Consumer Watchdog petitioned the FCC to enforce Do Not Track requests, but the FCC has declared it has “no intent to regulate edge providers”. Edge providers are entities providing content or platforms online, as opposed to mere access to the Internet. Thus, while the FCC has reclassified Internet Service Providers (ISPs) in order to safeguard net neutrality How the Web Won on Net Neutrality: 5 Key Moments How the Web Won on Net Neutrality: 5 Key Moments It does looks like net neutrality will reign, at least for a while. Let's take a look back at some of the most important moments in this battle. Read More , it isn’t willing to dabble too much in ensuring Internet users retain their privacy. Which is sure to disappoint privacy advocates Snowden's on Twitter, Here Are 7 More Privacy Advocates to Follow Snowden's on Twitter, Here Are 7 More Privacy Advocates to Follow Snowden is hardly the only privacy advocate on Twitter, or the world's leading authority on the subject. The social network has several prominent voices who care about user data and how to protect it. Read More . Still, at least it means the ads you see online will be targeted rather than random. 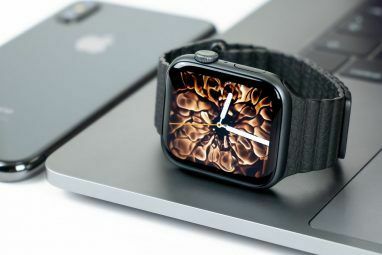 While smartwatches such as the Apple Watch Apple Watch Review & Giveaway Apple Watch Review & Giveaway The new Apple thing is finally out, but everyone was talking about the Apple Watch long before it was officially announced. Starting at $349 - we take a look, and have TWO to give away! Read More are gaining some traction, they haven’t exactly become a ubiquitous gadget in the same vein as the smartphone yet. And, to be honest, they probably never will. 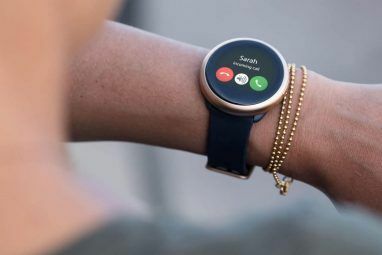 However, the ability to turn any watch into a smartwatch may help. Which is why Chronos exists. Chronos is a small metal disc that adheres to the underside of your existing watch. Once in place it’s capable of notifying you when you get a text, email, or other communication, buzzing slightly or lighting up when a notification comes through on your phone. Chronos is priced at $99 and is currently available for pre-order with shipping set to begin in Spring 2016. James Bond may still choose the Apple Watch How James Bond Made Me Buy an Apple Watch How James Bond Made Me Buy an Apple Watch Bond has always had a thing for watches. Indeed, some of the best gadgets Bond has ever used have been timepieces. Which means he would buy an Apple Watch. As will I. Read More , but this feels like a more desirable option for those of us who aren’t secret agents in need of an arsenal of innovative gadgets The Best Bond Gadgets Of All Time The Best Bond Gadgets Of All Time James Bonds gadgets are legendary. In this article, we run down some of the most futuristic gadgets from the films, and see how they stand up in the era of the iWatch. Read More . The first full trailer for the movie based on The World of Warcraft is now available to watch, and rather good it is too. Warcraft: The Beginning, to give the film its full title, shows the war between the Horde and the Alliance kicking off in spectacular fashion. Warcraft: The Beginning should appeal to a wide range of movie lovers. Anyone who has played The World of Warcraft over the last decade and change, anyone who likes epic fantasy films such as The Lord of the Rings, and Duncan Jones fans, for starters. There have only been a handful of decent movies based on video games The Top 10 Video Game Movies Of All Time The Top 10 Video Game Movies Of All Time Media crossovers can often be highly successful. Books such as the Lord of the Rings trilogy, Forrest Gump, and It's A Wonderful Life have found new audiences after being translated into movies. But video games... Read More , so let’s hope Warcraft: The Beginning proves to be as epic and entertaining as the trailer suggests. And finally, if there’s one thing guaranteed to ruin Christmas, it’s your significant other buying you the wrong present. And if there’s one thing guaranteed to make Christmas creepy, it’s Jeff Goldblum barging in and telling you where you went wrong. This is the first of a series of television commercials for British electronics retailer Currys PC World. They all show Goldblum teaching disappointed recipients how to act in the event of not getting the present they want. Which are all gadgets of some kind, naturally. 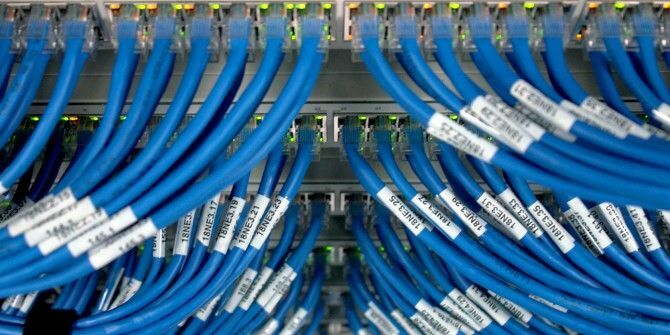 Should fast broadband be a basic human right? Would you like to see Do Not Track become standard practice? 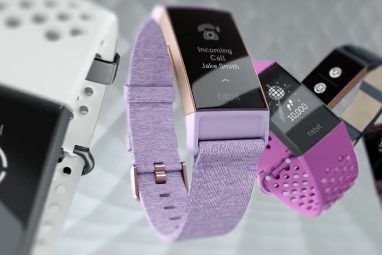 Would you want to turn your watch into a smartwatch? Will you be seeing the Warcraft movie? What’s the one gadget you would really like for Christmas? Explore more about: Christmas, Internet, Microsoft Surface, Online Advertising, Smartwatch, World of Warcraft. As much as I despise pop-ups and other wall to wall ads on virtually every. single. site I visit, targeted or not, I'm kind of glad the FCC rejected the petition for Do Not Track. You can't have selective Net Neutrality. Even if the Googles of the cyber world act like the tobacco industry, if you regulate them it effectively sets a precedent for just about any other group to cite to regulate virtually any other activity. I said it in 1995 & I believe it to still be true. The Internet is a double-edged sword which can be used for great things equally with bad. PT Barnum pointed it out a very long time ago. Look it up. So did Mr. Goodwrench. Nothing is free. Nothing. More so now than ever before in history. As consumers, we made Google the success it is, along with all the other companies that are cashing in on our dependence. I'm not saying it's right or fair. It's just the other edge of the sword that's now slicing out its pound of flesh.